We often hear about the negative stories regarding pit bulls, so we wanted to share a positive one as reported in the IndyStar. It is a testament to the canine-human bond. You can read more about fire safety and your pet here. 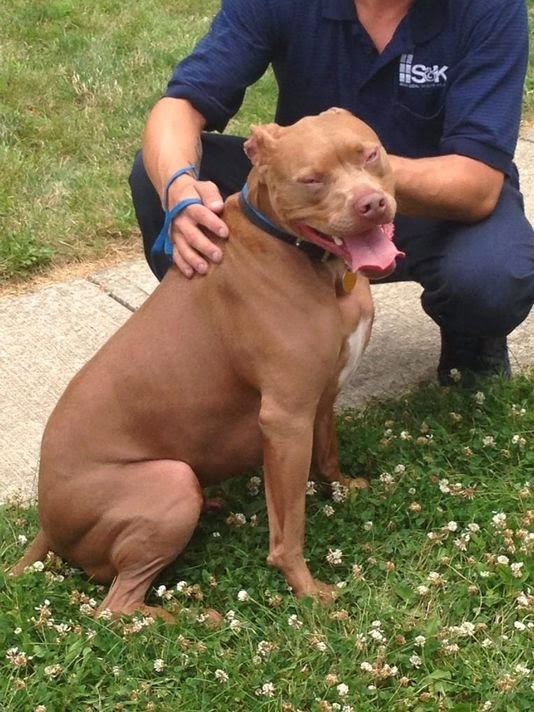 INDIANAPOLIS — A 2-year-old male pit bull named Ace was hailed as a hero Wednesday, after waking his deaf teenage owner during a devastating house fire. At 1:11 p.m., Indianapolis firefighters were called to fight a fire at a home on the city's south side, officials said. Upon their arrival, flames were shooting from the garage. "He was thankful that Ace entered his room and licked his face until he woke up," Indianapolis Fire Department Capt. Rita Reith said in a news release. "The boy quickly covered his nose and mouth with his T-shirt and exited the rear of the house." "I couldn't hear anything because I had my cochlear implants off. ... My dog Ace smelled it," Lamb said. "I just wanted to get out." Lindsay Bernard, Lamb's mother, says she rushed home from work after getting the call. Her mind was racing throughout the trip. "I went into a little bit of a panic," she said. "When I got here ... the streets were covered. It was mainly just panic and chaos." Reith added that the family's black cat named Pixie was located by a firefighter inside the home and appears to be OK.
"(Lamb) told firefighters that this was the first summer he was old enough to stay home alone and was excited to have reached that milestone," Reith said. "He had just returned from summer camp on Sunday."